This large 17-acre property with 1-acre zoning is perfectly suited for either a large estate ranch or future residential development! 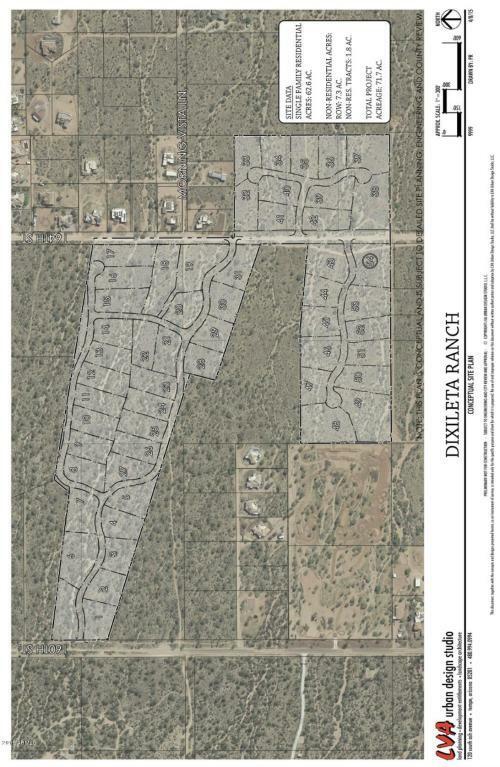 The property has an approved Analysis of Assured Water Supply for 12 possible residential lots from Arizona Department of Water Resources demonstrating a 100-year groundwater supply! There are several great wells in the nearby area immediately west and east of the property. 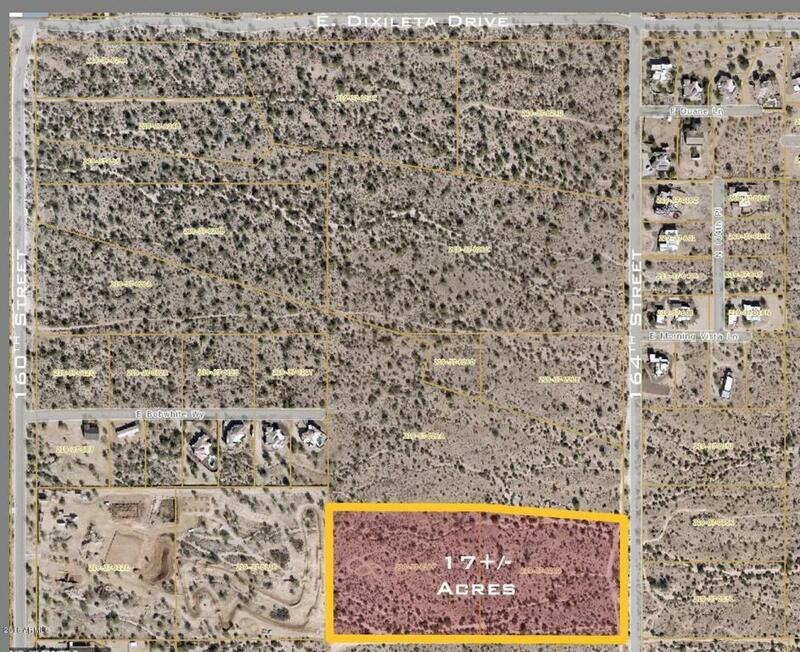 See images for an aerial of the property and a conceptual lotting study for 12 lots on the 17 acres. The 15-acre property across the street recently sold for roughly $50,000/ac. (equivalent to $850,000 on 17 acres). Now is the time to buy while these low prices last!All information is deemed to be reliable, but is not guaranteed. Buyer to independently verify all info.